A Few 2019 Birthday Thoughts…Nothing Too Wise, Though…I Mean, You Have To Consider The Source. Today, I turn seventy-two. That is a fair number of years to have lived. On the one hand, its not that impressive. There’s no great achievement here. Still, I suppose I am feeling a bit cocky. Perhaps I am deserving a small pat on the shoulder and a hearty, “well done.” Seventy-Two. In 1965, it was considered the average life expectancy for a Canadian male. This probably isn’t as comforting as I wanted it to be. Nevertheless, I feel a tad well done. Aging can be a bit of work. Work is somewhat of a non sequitur. This particular day, another horror has been visited on the world. The terrible Christchurch Mosque killings are evil personified. Still, each and every day of the year, year in and year out, terror finds a way to express itself. While terror has its persistent way, so many other positive actions are taken. Children around the world today are on strike for their future. We should do our utmost to assist them. As you can see, nothing much wise is coming from me. Pretty impressive for an unambitious writer guy. 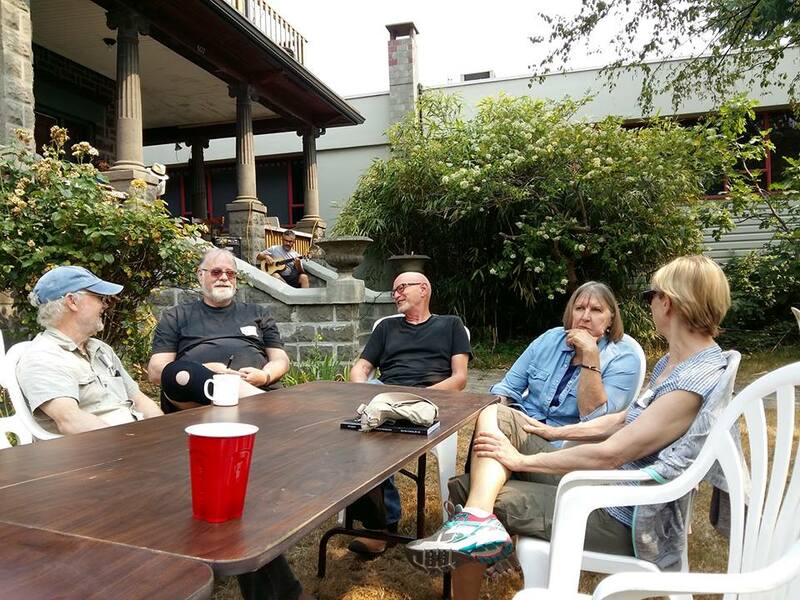 Here is a semi-flattering snap from a fun memory, the CRCA Reunion of August 2017. Ignore the blatant use of plastic. How Brilliant Am I? It needed to be asked but no one was…so…another job for me.